Singer-songwriter Jamie Block shows he gets the rhythm of Rockland County life with Whitecaps on the Hudson | Will You Miss Me When I'm Gone? The singer-songwriter, who grew up on Long Island, honed his craft in college in Chapel Hill, N.C., and earned — really earned — his musical chops by busking in New York’s subways, is now settled north of the Big Apple, near the tip of Rockland County. He’s been making records, or CDs, or albums, or whatever you want to call them, since 1996, when he self-released the amusingly titled Lead Me Not Into Penn Station. Despite its joky title, it’s a great record — full of great hooks, a little Dylanesque swagger, lots of down-and-dirty beats and the nervous energy of a man looking to make his mark. 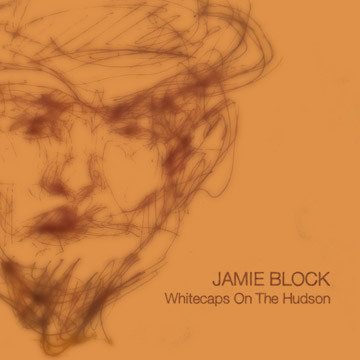 The artist on display in Whitecaps is not just Block, but Jamie Block. Even his website URL has changed, from blocknyc.com to jamieblock.com. But this album makes it clear that he’s the same guy — transformed. He’s they guy who’s seemingly been trying to walk away from the music since 1998. 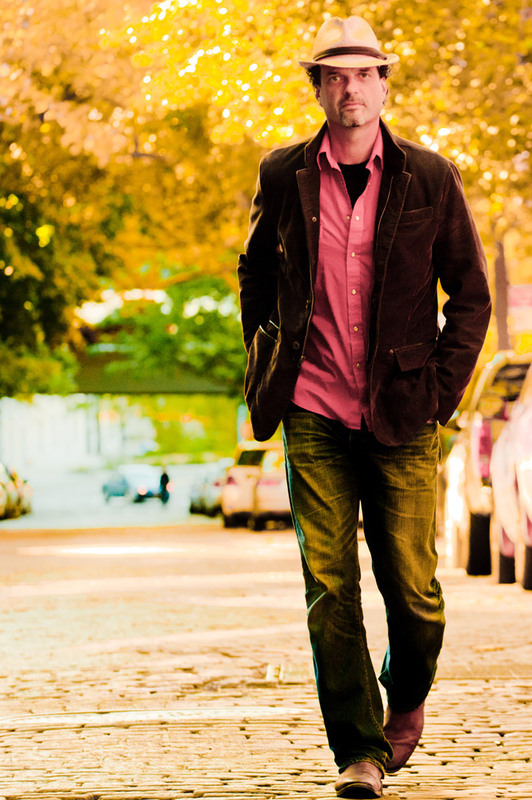 That’s when his second album, Timing Is Everything, was released by Capitol subsidiary Java. It landed with critical acclaim, but apparently didn’t sell well enough for the big label execs. He pretty much dropped out of the music scene after that, and became an investment banker. It took eight years — and significant arm-twisting, by most accounts, from WFUV-FM host Claudia Marshall (who’s now spinning music from Vermont) — to get him back in the game with his 1996 release, The Last Single Guy. While he’s still making his living in finance, Block just can’t stop making music. He did a slow rollout of Whitecaps starting late last year. We’ve been listening to his new tracks for several months, entranced. Virtually ever track is a perfect little musical play, so well crafted that we’ve had trouble finding appropriate words to describe them. But the soft release is over. The album officially was released — whatever that means these days — this month. Listen to and buy to Block’s new album, and all his previous releases, except Penn Station, by clicking here. The song topics run the gamut, from Ayn Rand and the first atomic bomb, to lawn-mowing, the Tappan Zee Bridge, and, yes, whitecaps on the Hudson. It’s pretty obvious that he has a view of the river from his home. Many of the songs have a conventional folk feel to them. Take “I’ll Keep it With Mine,” which starts off with a very conventionally “folkie” guitar ostinato. But Block’s rough-hewn voice serves the material well, bringing the tune alive. There’s Something about his voice evokes the confidential, personal storytelling of post-VU Lou Reed, though with a lot less obvious bad attitude. Other ostensibly folk tunes, such as the title track, take some twists and turns, starting out conventionally in a boy-with-a-guitar mode, breaking out into noise-rock before withdrawing in guitar mode. Another the standout track is “Sam Patch,” which focuses on the 19th Century historical figure Sam Patch, a falls-jumping daredevil. The focus, here, is local, looking at his jump of the Paterson, N.J., falls on the Passaic River. There’s nothing historical, or historicist, about Block’s setting for Patch’s story. The nervous energy and rhythmic drive of a younger Block comes through unmistakably here. While the album, which was recorded live in a Brooklyn studio, is quite personal, Block managed to get a goodly bunch of talented artists to help him make it. Producer/engineer Dean Sharenow brought in a band that included Erik Della Penna (Natalie Merchant, Joan Baez) on guitars, Mick Rossi (Paul Simon, Phillip Glass) on keyboards, and Byron Isaacs (Olabelle) and Jeff Hill (Rufus Wainwright) sharing bass duties. 7 pm, March 14, Rockwood Music Hall, 196 Allen Street, New York City. (212) 477-4155. Admission free, but there’s one-drink minimum and they pass the hat for donations. Sets are short and relatively on time, so don’t arrive late. 9 pm, April 11, Northern Soul, 557 First Street, Hoboken, N.J. (201) 963-9122. We don’t know this place, but it looks like Thursday nights here offer something similar to Rockwood, with multiple short sets by various artists. Once he has these under his belt, it’ll be time for Block to favor the Rockland crowd with a hometown gig. Where’s it going to be, Jamie? This entry was posted in Concerts, Folk, mp3, Music, News, Pop and Rock, Preview Tracks, Recordings, Review and tagged anti-folk, Block, Chapel Hill, Claudia Marshall, Hoboken, Jamie Block, Lead Me Not Into Penn Station, Lou Reed, Music From the Hive, Northern Soul, Rockland County, Rockwood Music Hall, The Last Single Guy, Timing Is Everything, WFUV-FM, Whitecaps on the Hudson. Bookmark the permalink.